Raising money for charity is always a worthwhile endeavour. But facing a challenge that also happens to boost your own health is what real soberheroes are made of. The clever folk at Macmillan aren’t half bad at coming up with fundraising campaigns and new ways to raise awareness about cancer. And this year they’ve sparked interest by challenging the good people of the UK to become a Soberhero for the entire 31 days of Stoptober. With 450 deaths each day from cancer, the important work done by Macmillan and other cancer charities has a crucial role to play supporting the thousands of people fighting the disease in all its forms across the country. If you like a social drink from time to time, giving up alcohol for 31 days may also help you achieve some surprising results. Not only will you save money, you could also enjoy some genuine improvements to your health and wellbeing. In the short term, you may notice improvements to your energy levels and quality of sleep. Although alcohol may make it seem easier to fall asleep at night, the impact of alcohol on the brain can actually prevent you from experiencing the important REM-sleep phase, which will leave you feeling lethargic in the morning. Alcohol can also impact on your breathing during sleep, which is why giving up alcohol can often reduce an individual’s likelihood of snoring. Giving up alcohol can also very quickly lead to an improvement in your skin because without the diuretic qualities of alcohol you will not urinate as regularly and risk the problem of dehydration. For those who suffer from acid reflux, giving up alcohol can also see significant improvements. One of the most popular reasons for giving up alcohol is weight management. As has been well documented, alcoholic drinks are very calorific and can lead to significant weight gain over time. Not only does alcohol contribute to subcutaneous fat (which lies just under the skin), it also contributes towards visceral fat – the dangerous fat which develops around the body’s vital organs and impacts on their effectiveness. Giving up alcohol for the full 31 days of October may see you lose several pounds and inches off the waistline when combined with a healthy, balanced diet. The odd social drink is not deemed to be a serious threat to our health and for millions of people in the UK who adhere to public guidelines, consuming just a few units a week will not prevent you from enjoying a long and healthy life. 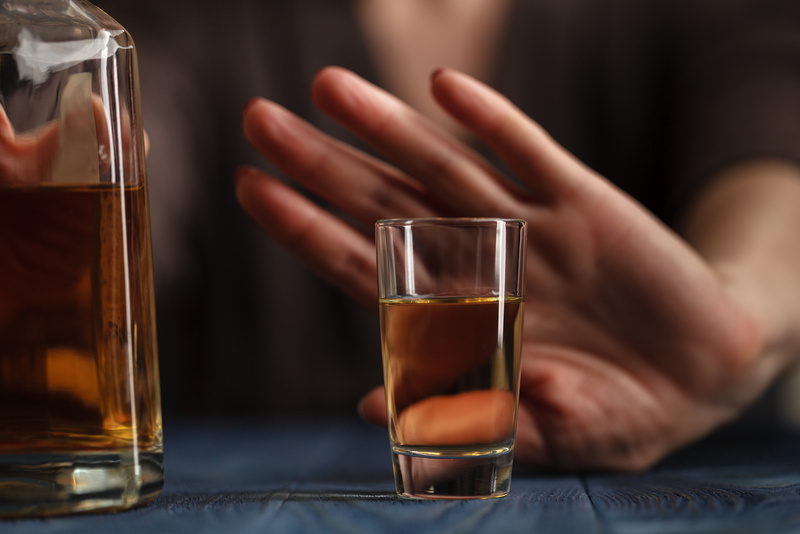 However, if you regularly consume large quantities of alcohol and find yourself slipping back into old ways after the month of October, here are just a few reasons to reassess your relationship with alcohol. Alcohol consumption has been linked to at least 7 types of cancer. Reducing alcohol consumption has been proven to lower an individual’s risk of getting cancer. Alcohol is not a friend to your liver. Heavy drinking (more than 14 units a week) is one of the key contributing factors to liver disease. Reining in alcohol consumption can significantly improve liver function over time. So there you have it: put a halt to your alcohol consumption throughout October and you could be helping both cancer sufferers and yourself at the very same time. Looking for advice and guidance on alcohol consumption, weight loss, treating acid reflux or any of the other issues raised in this article, why not try our handy Live Chat tool now.